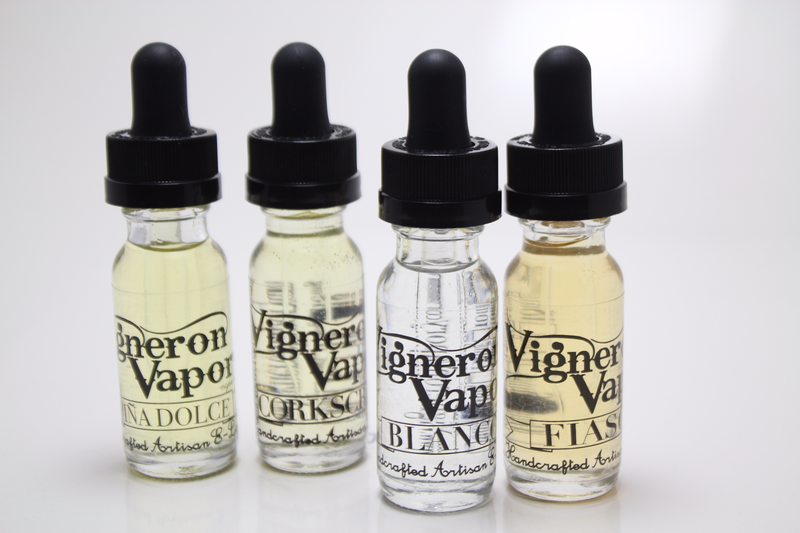 Try all of our popular e-liquid flavors at a discounted price. 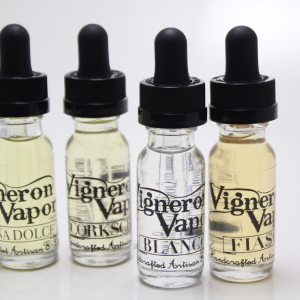 Enjoy these 15mL bottle of handcrafted e-liquid in your choice of four nicotine levels: 0mg, 6mg, 12mg, or 18mg. SKU: N/A. Categories: E-Liquids, Sales. Blanco is handcrafted using succulent white peach rings with an added hint of sweetness. Draw in the fresh and fruity taste of summer with every puff. Handcrafted with notes of black currant and citrus, Corkscrew is your quiet escape like a fragrant glass of sweet wine.